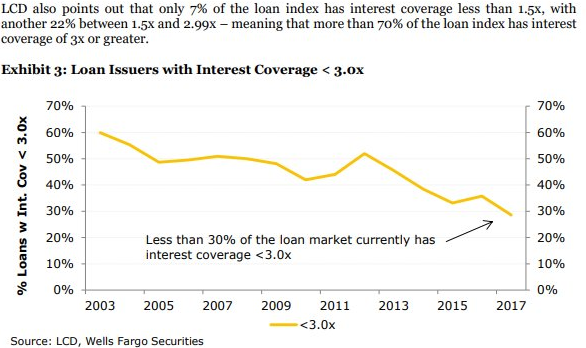 Remember all of those early year surveys about where the distressed activity was going to be? Yeah, so do we. Everyone was bullish about healthcare distress. And, sure, there have been pockets here and there but nothing that’s been truly mind-blowing in that sector. In other words, wishful thinking. Unless you’re DLA Piper LLP, the (limited) healthcare activity has meant basically f*ck all for you. "We don't see any catalyst for there to be a great increase in defaults in the sector," said Megan Neuburger, Fitch's team head for healthcare and an author of the report. "It tends to be a fairly stable sector from a cyclical perspective, so the drivers of bankruptcies tend to be more idiosyncratic." In other words, the chief drivers of healthcare bankruptcies aren't the same as in other sectors, which are more influenced by economic downturns or factors related to the commodity cycle, she said. Neuburger said her team doesn't see any catalyst on the horizon that would prompt an uptick in healthcare defaults this year or in 2019. We’ll see if the early 2019 surveys reflect this view. Sometimes distressed investing returns get upended by practical realities. The question is: were those realities accounted for in the underwriting? To continue reading, you must be a PETITION Member. Become one here. Sandridge Energy, Fitch Ratings, EP Everest, Jupiter Resources Inc., Jones Energy Inc., Northern Oil & Gas Inc., Parker Drilling Company, Jeremy Grantham, Grantham Mayo Van Otterloo & Co.
There’s a whole industry of restructuring professionals…gulp…hoping that he’s correct. There are a number of funds raising cash right now hoping that he’s correct. Earlier this week, Moody’s Default and Ratings Analytics team forecasted that the US’ trailing 12-month high-yield default rate will sink to 2% — from its February 2018 3.6% level — by February 2019. That is not a good sign for restructuring professionals itching for an uptick in activity. At the time of this writing, Congress has approved of the tax reform bill and President Trump is champing at the bit to sign it. Analyses are incomplete but one provision, in particular, is of note for restructuring professionals: the new limitations on deductibility of interest. Indeed, Fitch Ratings issued a press release confirming that the “impact of the deduction will be more severe on highly leveraged firms.” Choice quote: “Based on a sample of 575 leveraged loan and high-yield issuers, Fitch estimates that 37% of the issuers will lose a portion of their interest deductions under the EBITDA definition. In addition, 27% would be unable to deduct 20% or more of their interest and 10% would be unable to deduct 50% or more of their interest.” Get ready to see this in a First Day Declaration coming to a bankruptcy court near you. Indeed, the prolific Baker McKenzie firm already has published its assessment. Choice quote, "These changes are significant to the struggling US corporation that has declining earnings. Indeed, the path to bankruptcy for a highly-leveraged company could be accelerated as a result of an increase in its effective tax rate caused by these rules. Moreover, the reduced allowance for deductions would mean fewer NOLs would be available for use should the company attempt a bankruptcy reorganization." There's also no grandfathering: you should read the piece. We're looking at you Tenet Healthcare (and others). Who knew tax could be so interesting? That said, certain industries in need of relief could be potential winners. Retailers who generate profits domestically stand to benefit from the corporate tax rate reduction. On average, they pay 30.6% currently so a reduction to 21% could be meaningful. Likewise, restaurants with domestic profits would also stand to benefit (multi-nationals with a higher mix of U.S. debt to earnings could run into the deductibility issue above). These two spaces could use all the help they can get after a bumpy 2017. Finally, tax lawyers and tax advisors are already getting busy poking holes through the thing.